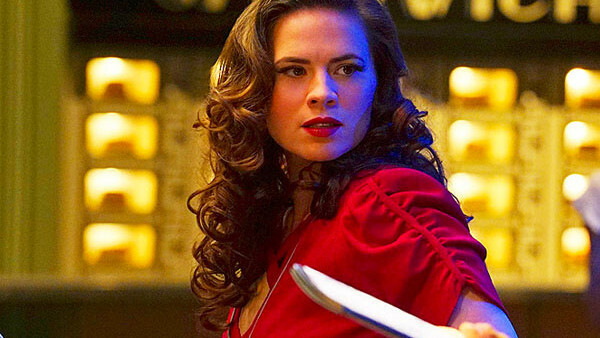 Double bad news for fans of Marvel's small screen offering: Agent Carter has - as expected - been officially cancelled by ABC. Having said goodbye to the MCU symbolically in her funeral scene in Captain America: Civil War, Hayley Atwell's SHIELDfounder is done for good. The Hollywood Reporter say the studio decided to cancel the show despite critical acclaim thanks to low ratings throughout both seasons. It's a sad end for the character. This of course might not be the end of Atwell's performance entirely, as she could reappear in more flashbacks in the main MCU, but barring a Howling Commandos TVseries (WHYISTHISNOTATHINGYET?! ), it's unlikely she'll reappear on TV. What do you think of this news? Share your reactions below in the comments thread.